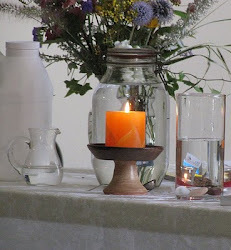 UU A Way Of Life: Who are the enlightened ones among us? Who are the enlightened ones among us? We may have assumed that awakening, enlightenment, is the end point of spiritual development, but actually it is a whole new normal. It is new life with enhanced quality. The Buddha reached enlightenment and was free to go on to nirvana but he decided to stick around and help his fellow human beings become enlightened as well. Thus, the Buddha was nicknamed the "compassionate buddha." Jesus goes through the transfiguration before Peter, James and John. The guys knew that something important happened to Jesus but they didn't quite get it and Jesus tells them not to tell anyone what has happened. Instead, Jesus comes down from the mountain and starts helping people in dramatic ways like curing a boy from his epilepsy. 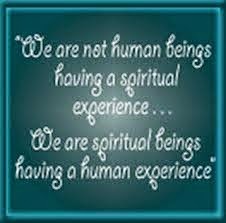 People who have awakened go on living among us but spiritually they are living with us at a different level of awareness. They are peaceful, joyful, generous, empathic, and therapeutic. You may know such people, but have not been aware of what makes them different. They don't brag, don't posture, don't separate themselves from others in any kind of superior way. They are unassuming, humble, and usually present themselves as nothing special but quite ordinary. They are aware of their holiness and they also perceive the divine spark in others and desire to set the spark further aflame. Be alert for the awakened ones among us. Their lack of drama and narcissism makes them easy to overlook but they are there and we are better off when we recognize and acknowledge them. At UUAWOL ministries our mission is to sanctify the world by helping people become holy. Our work is gaining strength from the 100 people are so who join us here regularly. Great post. I will keep my eyes and heart peeled to spot them.